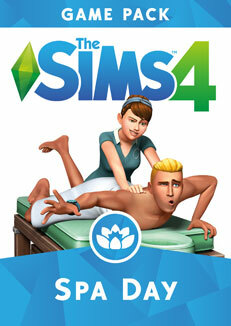 The Sims 4 Game Packs provides new gameplay features, new objects and new clothing based around one central theme. This may include new worlds, venues, large gameplay features and mostly a lot of new objects and clothing for your Sims! In The Sims 4 Spa Day game pack you can build new Spa Venues where your Sims can relax. Decorate your Spa with a large sauna, mud baths and massage chairs! Start of with the Wellness skill by taking yoga classes, massage therapy or learning to meditate. Leveling up you Wellness skill will help you give even better massages. 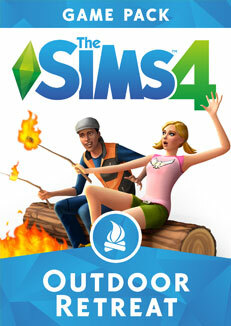 In The Sims 4 Outdoor Retreat Game Pack you can go on vacation in the new world Granite Falls! Hire a cabin or campsite and go hunt for Insects, collect plants to create potions with the Herbalism skill, catch some new valuable fish or get chased by a bear. Did you know that there even is a secret area for your Sims to explore?